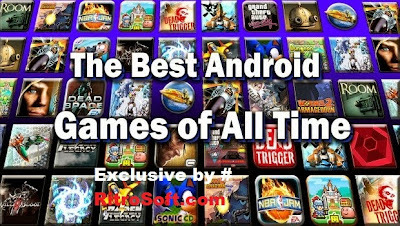 These are the best Android games you may install on your android device for the best gaming experience on the go. These Android games are hand selected, and the list will be updated frequently. Check back often! Angry Birds is a game of skill where you have to throw a number of birds with a pretty bad temper against fortifications defended by piglets who stole the birds’ eggs! In this edition birds embark on a new adventure through space. Angry Birds Space has 60 new levels, new birds and space as scenario. You have to drive a fun character whose only goal is to climb as high as possible. Along the way you will find obstacles and aids to accelerate your ascension to the heights. An exciting arcade game with elements of physics, where you have to shoot straight balls on the banks. Prove to everyone that you are the best sniper! Show the class a shooting at a moving target! Put coins and use of the movement of the platform to win prizes. In Coin Dozer, you must collect as many coins and awards (teddy bears, dice, sparkling jewels) as possible. This time the green pigs they have to devise with up to 33 different objects as wheels, umbrella, propellers and even rockets to steal the eggs of birds. Angry Birds Seasons – continuation of the insanely popular arcade games for Android. Destroy all of the pigs on the playing field to beat the level. Your job is to help a small Dinosaur as he runs for safety, evading obstacles and pitfalls in jumping on Dino Run! To overcome, you must avoid obstacles using the touch screen and the accelerometer of the device. Take your pick and get ready for adventure! Explore a mine to find ores, metals and precious stones and make your fortune! In this free game with 3D-graphics and simple controls, you will learn to survive in the wild, full of traps and wild animals. Save your girlfriend from the evils. You can jump to guide the orange box around the ledges and jump on the blocks to reach the end of the level. Defend your village from zombies as a samurai in Samurai vs Zombies Defense game, must kill all every undead you find your way. These Android games are hand selected, and the list will be updated frequently.